In the thesis process feedback is the dialogue between you and your supervisor in which you are informed on your performance and development. This implies that this feedback from your supervisor is of great importance in achieving your final goal(s). 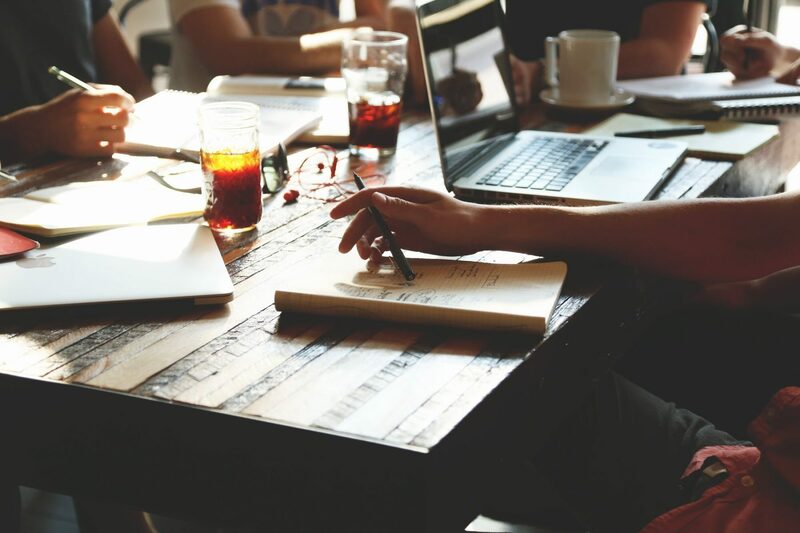 Feedback is a vital part of writing your thesis and will help you to maximize your potential, raise awareness of strengths, define areas for improvement and identify actions to be taken to improve the outcomes. If feedback is offered properly it is very motivating. Receiving feedback offers you the opportunity to learn. Appropriate feedback informs you on what is working and what is not working. It is very important to keep in mind that feedback is not equal to criticism or a personal attack. Feedback is the perception of another person about your behaviour, your work and the process in total and this is NOT equal to a perception of how you are as a person. Feedback tells at least as much about the person giving feedback as about the person receiving feedback. Different persons will give different feedback about the same situation. While giving positive feedback is relatively easy, supervisors also have the role to offer critical feedback on research, on writing and on progress in general. Feedback is most effective when it is timely, perceived as relevant, meaningful and encouraging, and offers suggestions for improvement that are within a student’s understanding (Brown, Bull, & Pendlebury, 1997). Where am I going? What are my goals? What do I want to know or what skills do I want to acquire? This corresponds to the planning of a task. How am I doing? What progress have I made toward the goal? Where to next? What activities do I need to undertake to make better progress? This corresponds to feed forward. The value of feedback is greatly enhanced if people receiving feedback first ask these questions to themselves. There are some general guidelines for you as a student which you will have to keep in mind when you receive feedback. Seek feedback on a regular basis, especially after you have identified development goals. Exchanging information and perceptions is a process, not a single event.Receive feedback as a gift that provides you with honest information about your perceived behaviour/performance. Be open to what you will hear.Let the person finish what he or she is saying.Try to paraphrase what you are being told, either back to the person or in your own mindAsk for clarification and examples if statements are unclear or unsupported.Ask for specifics, if not provided.Take the time after the feedback interaction to evaluate the information and consider specific actions for improvements.Accept it positively (for consideration) rather than dismissively (for self-protection).Use feedback to clarify goals, track progress toward those goals, and to improve the effectiveness of your behaviours over a period of time.Tell your advisor what kind of feedback would be most helpful to you. Sometimes an advisor can be giving unhelpful or discouraging feedback without realizing it. Letting him or her know, very specifically, what kinds of responses will be helpful to you at different stages of the writing process can help your advisor know how to help you. Take it personally.Become defensive or explain your behaviour. You can either spend your time mobilizing your defences or you can spend your time listening. Defending your actions is counterproductive, where listening is extremely useful.Interrupt the other person.Be afraid to allow pauses and periods of silence when you receive feedback. This gives you time to understand what is being said and it gives the other person time to think about what they say.Ask the person to defend his or her opinion (there is a difference between “defending” and “explaining”). Feedback is purely subjective perceptions of information. You can place your own value on it later.Do not make excuses or try to explain your behaviour. 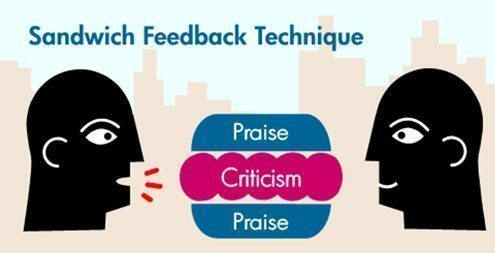 Without feedback students may assume that that there is nothing to improve or no progress has been made; feedback is essential in the supervisory relation. Students who receive feedback upon their draft and subsequently process it, often hand in better final results. Thereby, appropriate implementation will motivate students to further writing and causes reflection on their process of writing. It goes without saying that students value the comments of their supervisor the most. Giving feedback on a draft takes time but will eventually pay off at the end of the process when the final evaluation takes place; often a supervisor can suffice with a brief judgement. Even more saving of time can occur with the use of peer feedback: mutual exchange of comments can be very useful for students. The temporary comments of a supervisor can have a great impact on students’ self-confidence. Receiving negative feedback can have a demoralizing effect on students and result in fear or even a writer’s block. On the other hand compliments and constructive support have a stimulating effect. Of course it would be the ideal situation to have a good balance between a critical attitude and positive feedback which offer students access routes for improvement. It is important to be very clear to your students and explain the impact of your comments. The main principle should always be that the student is and will be responsible for his or her own writing. Your role as a supervisor is not to “make them do things” but to make their learning possible. Your role is to inform, question, prompt, assess, encourage and guide your students to achieve the learning outcomes. Be specific and clearFor instance, “I think that the draft you’ve given me needs more thorough editing here, and here”, rather than “Your writing is really shoddy.” Own the statement Use ‘I’ statements rather than ‘you’ statements, e.g. “I find your description confusing” rather than “you sound confused here”. Don’t wait Immediate feedback is the most valuable. If this is not possible, give it as soon as you can. Offer constructive ideas For instance, “If you put xxxx instead of yyyy that would read better.” Do not compareNever make comparisons with other students. The comparison should be with the person’s own potential. Comment on positives Whenever possible, try to give some (genuine) positive feedback – it makes the negative easier to bear. Find strengths before highlighting the weaknesses. A person who feels good about themselves will be more willing to consider deficiencies (see below). The Sandwich Feedback Technique is an often used technique when giving feedback. If used effectively, feedback can build up a student’s confidence and self-esteem which lead to the ability to master the concepts for writing a successful thesis. http://www.ascd.org/publications/books/108019/chapters/Types-of-Feedback-and-Their-Purposes.aspxhttp://www.faculty.londondeanery.ac.uk/e-learning/feedback/what-is-feedbackSwaan, W., Hommes, J. (2011). Feedback and communication skills in an international classroom.